Go On Location: Los Angeles Locations in "Argo"
Based on real life events, Argo is a 2012 thriller directed by Ben Affleck that chronicles the “Canadian Caper,” a joint covert rescue by the Canadian government and the CIA of six American diplomats during the 1979 Iran hostage crisis. The critically-acclaimed Argo, which was named Best Picture at the 85th Academy Awards, is produced by Academy Award winners Affleck and George Clooney, and Oscar nominee Grant Heslov. Affleck stars as Tony Mendez, the CIA operative who led the operation. Argo also stars Emmy-winning actor Bryan Cranston (star of TV’s Breaking Bad), Oscar-winning actor Alan Arkin, and Golden Globe and Emmy-winning actor John Goodman. Although most of the movie takes place in Tehran, Iran, not a single minute of film was shot there. Other than location shoots in Istanbul, Turkey and Washington, D.C., the majority of Argo was filmed in Los Angeles. LA is home to the largest Persian community outside of Iran, and many of the Persian extras in Argo had been in Iran during the Revolution. 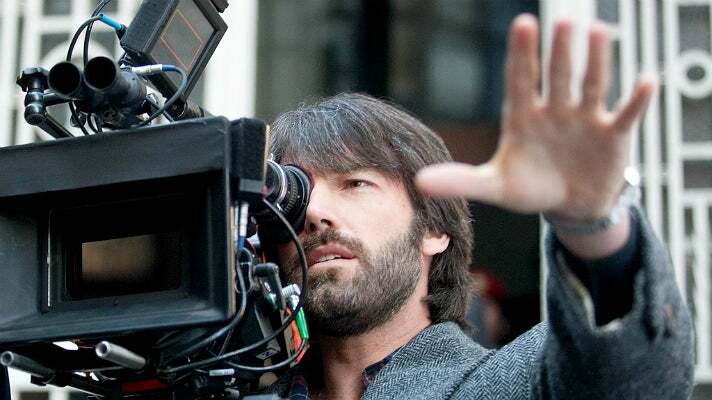 In the film’s production notes, Affleck notes that these extras were “very committed to helping us make it right; in fact, some of them really got into it, pointing out the tiniest discrepancies.” From a historic shopping mall in Hollywood to a multi-million dollar estate in Bel-Air, discover how Los Angeles played a starring role in the award-winning Argo. SPOILER ALERT: For those who haven’t seen the movie yet, key plot points are mentioned in this article. 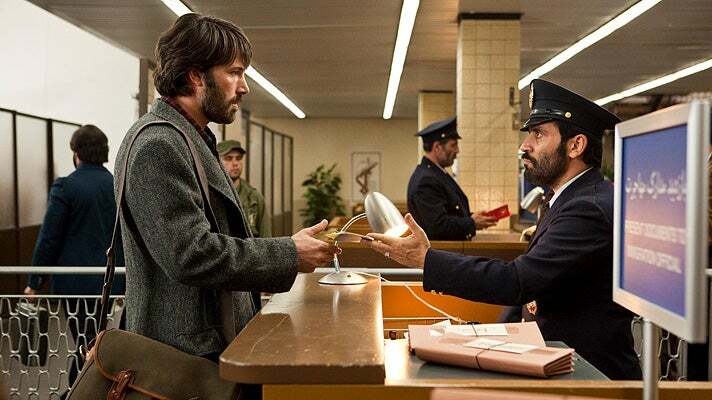 The 1979 takeover of the U.S. Embassy in Tehran is dramatically recreated at the beginning of Argo. Instead of using the actual embassy (which still stands today), the Argo crew filmed the sequence at the Veterans Affairs Sepulveda Ambulatory Care Center. Located in the North Hills area of the San Fernando Valley, the mostly-vacant facility is currently undergoing restoration and is used often as a film location. 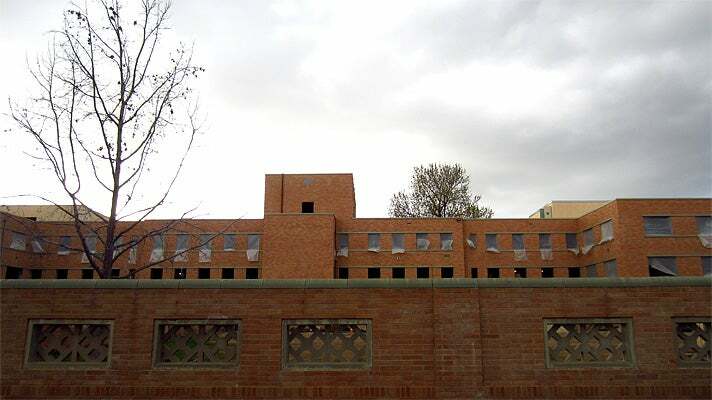 In a Los Angeles Times article, Argo location manager Chris Baugh said, “[The VA Sepulveda Ambulatory Care Center] even had the same number of stories as the U.S. embassy in Tehran. It was a huge stroke of luck.” Fans of Grey’s Anatomy will recognize the center’s Building 200 as a stand-in for Seattle Grace Hospital. The historic and affluent neighborhood of Hancock Park is located in the eastern portion of the original Rancho La Brea area, north of Wilshire Boulevard and south of Melrose Avenue. Hancock Park's palatial, two-story residences were designed in various Period Revival styles for the elite of Los Angeles society, and are frequently used as film locations. Notable Hancock Park residents have included billionaire Howard Hughes, entertainers Mae West and Nat King Cole, and architect William Pereira. For Argo, a Hancock Park home doubled as the residence of Canadian Ambassador Ken Taylor, where the six Americans find refuge after evading capture at the U.S. embassy. With time running out before the six Americans are discovered, CIA agent Jack O’ Donnell (played by Bryan Cranston) calls in “exfiltration” expert Tony Mendez to help formulate a rescue plan. 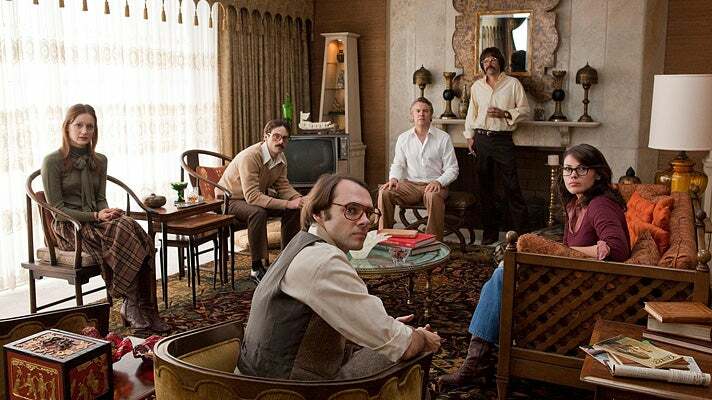 The Argo cast and crew were granted limited access to film at the actual CIA headquarters in Langley, Virginia. The Los Angeles Times Building in Downtown LA was repurposed for various scenes that took place in the offices and conference rooms of the CIA. Located at the corner of 1st and Spring streets near Little Tokyo, the historic Los Angeles Times Building opened in 1935. The building was designed by Gordon B. Kaufmann, the architect best known for his work on the Hoover Dam. The 10-foot high murals in the Globe Lobby were painted by Hugo Ballin, who also painted the Griffith Observatory rotunda. After Mendez comes up with a daring plan to rescue the six Americans, he flies out to Los Angeles to meet with famed Hollywood makeup artist John Chambers, played by John Goodman. Chambers received a special Academy Award for his work on the Planet of the Apes movies. He is also known for creating Spock’s pointy ears on the original Star Trek TV series. At the SmokeHouse Restaurant in Burbank, Chambers advises Mendez on how to produce the fake movie that serves as cover for the rescue operation. Thanks to its proximity to world famous Warner Bros. Studios, the SmokeHouse Restaurant has been a favorite hangout for the entertainment industry since it was established in 1946. In the 1960s, it was perfectly normal for costumed extras from a Warner Bros. Western to fill the restaurant during lunch. The legendary steakhouse continues to attract new generations of fans who enjoy the old school service and charm, as well as the famous garlic bread, generous portions and live entertainment. 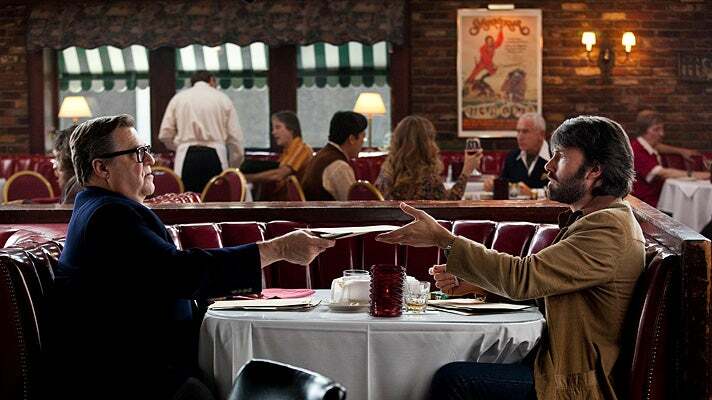 Argo producers George Clooney and Grant Heslov named their production company after the restaurant. The Bel-Air mansion of actress Zsa Zsa Gabor and her husband, Frederic Prinz von Anhalt, was featured in Argo as the home of Hollywood producer Lester Siegel, played by Alan Arkin. In a key scene at Siegel’s home, Mendez comes across a script for a science fiction movie titled “Argo.” The fake movie production becomes the basis for the rescue operation. Located at 1001 Bel Air Road, the private, gated estate sits on an acre of property and boasts panoramic views of the city. Numerous areas of the property can be seen in Argo, including the front facade, grand foyer, living room and pool area. Over the years, the $15 million mansion has reportedly welcomed distinguished guests such as Queen Elizabeth, George H.W. Bush, George W. Bush, and Ol’ Blue Eyes himself, Frank Sinatra. 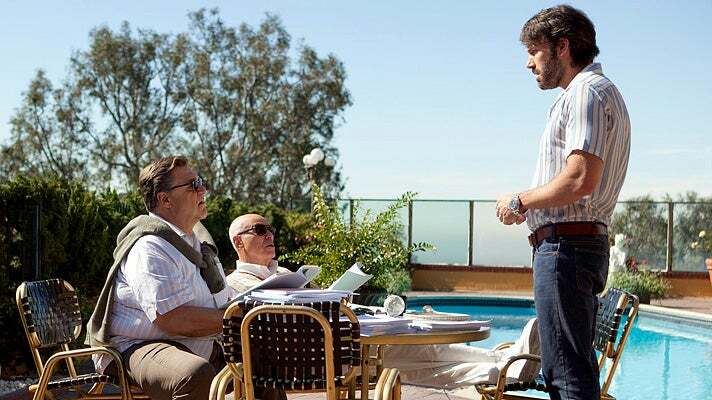 In a memorable scene, Lester Siegel and Tony Mendez visit the Crossroads of the World in Hollywood to option the Argo script. Located on Sunset Boulevard at Las Palmas Avenue, the Crossroads of the World opened in 1936 as an international shopping center. Today, Crossroads hosts dozens of private offices, primarily for the entertainment industry. It was designed in the Streamline Moderne style by Robert V. Derrah, the architect who also designed the landmark Coca-Cola Building in Downtown. The Crossroads of the World features nine buildings in different architectural styles, meant to evoke exotic locations from around the world. 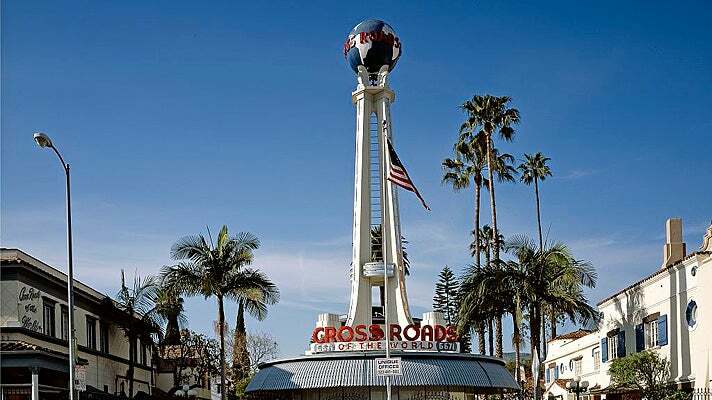 Crossroads is easily recognized by its 30-foot tower with revolving globe on the top, as well as the property’s “ship,” a building complete with portholes, red railings and curved corners. In 1974, the Crossroads of the World became Los Angeles Historic Cultural Monument #134. It was added to the National Register of Historic Places in 1980. A fake movie company called Studio Six Productions was created as part of the elaborate cover for the rescue operation. A Studio Six “office” was set up on the Warner Bros. lot, and the Studio Six Productions identity appeared on business cards, teaser posters, and display ads that were purchased in Hollywood trade publications. According to A Classic Case of Deception, the case study written by Mendez himself, the deception worked so well that none other than Steven Spielberg sent a script to the Studio Six offices. 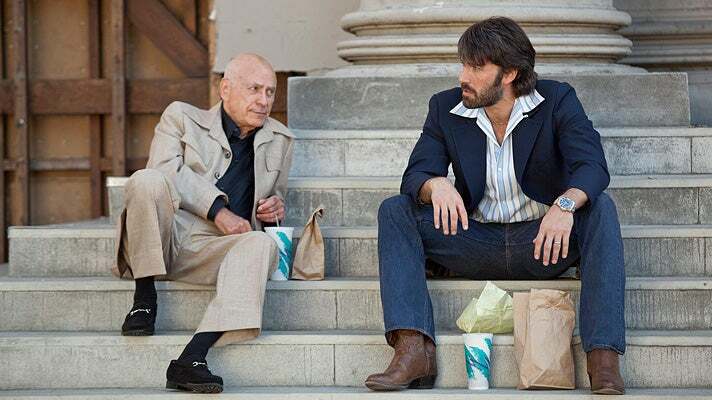 In the movie, after Mendez and Siegel close the deal to buy the Argo script, they share a takeout lunch on the backlot. For historical accuracy, the studio’s iconic water tower was altered to say "The Burbank Studios,” rather than the familiar Warner Bros. logo. For movie fans, few attractions can compare to the Warner Bros. Studios VIP Tour, which offers a rare and intimate glimpse into Hollywood at work. Each tour group of 12 guests experiences a fascinating 2-hour tour that travels through backlot streets, soundstages, sets and craft shops. No two tours are alike. Visitors can walk through the set of a hit television show, watch Foley artists create sound effects for movies, see how sets are constructed, browse millions of items in the prop department, get up-close to vehicles from film and television, and much more. At nearby Universal Studios Hollywood, the VIP Experience offers the ultimate behind-the-scenes visit to the famed studio. Limited tickets to the VIP Experience are $289 per person, and include a special trolley that lets you disembark and explore areas not open to the general public; no-wait VIP access to all rides in the park and the best seats at any show; gourmet lunch in the private VIP dining room; valet parking and VIP entry and exit from the park. Some of the most harrowing scenes in Argo occur at Mehrabad Airport in Tehran, where tense moments unfold amid the chaos. An unused terminal at Ontario International Airport, located 35 miles east of Downtown LA, stood in for the crowded Tehran airport. Ontario International Airport is a full-service airport with commercial jet service to major U.S. cities, and through-service to many international destinations. The Argo production team dressed the terminal with Farsi signage and posters of then-leader Ayatollah Khomeini to help create the illusion. During the 2013 awards season, the critically-acclaimed Argo received numerous accolades, led by seven nominations for the 85th Academy Awards, winning for Best Picture, Best Film Editing and Best Adapted Screenplay. Earlier in the year, Argo won Best Picture – Drama and Best Director at the 70th Golden Globes. 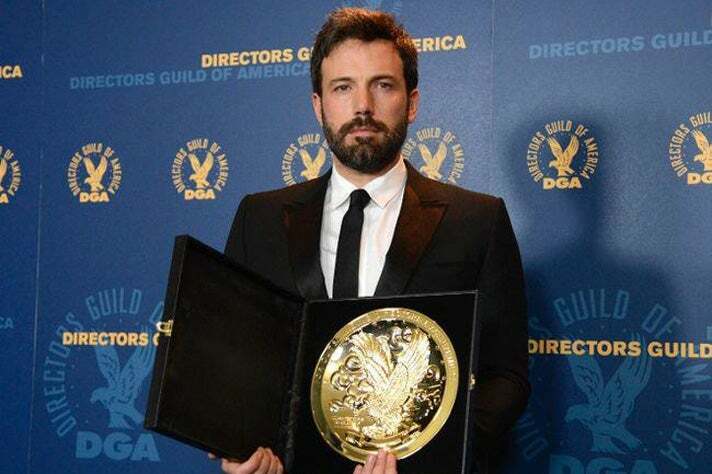 Affleck took home the top prize at the 65th Directors Guild of America Awards, winning the award for Outstanding Directorial Achievement in Feature Films. At the British Academy Film Awards (aka the BAFTAs), Argo took home three awards, including Best Picture and Affleck for Best Director.